They have never finished worse than third in the end of season standings and only failed to make the final twice. They have also taken home the trophy after finishing first (16-17), second (14-15) and third (13-14). It just doesn’t matter to them. Generally, this has been the case because of their formidable bowling attack. 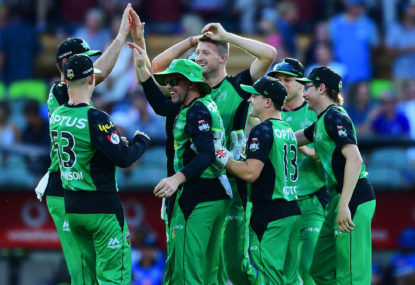 Three times from the first seven incarnations of BBL they have had four bowlers in the top 15 wicket takers for that season. Remarkably, these three years, were achieved with ten different bowlers forming a legacy of short form bowling in WA. 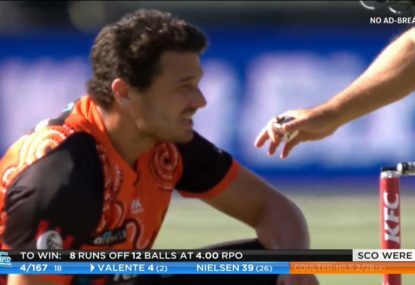 Leaving out drastically rain affected matches, the Scorchers have managed to take their wickets averaging a notch above 22 runs and completely bowl out teams in one of every six matches. They have already rolled the Adelaide Strikers for 88 early in this season. With an attack this effective, batting hasn’t needed to be as dominant. The Scorchers have defended or only needed to chase very small totals over the years to claim a win: 92, 103, 114, 114, 114, 117, 117, 118. Even this season when they haven’t had a lot to smile about, Perth’s bowlers are doing what they do. Taking an average of six wickets per game and keeping teams under 165. This bowling prowess doesn’t mean there have not been standout batsmen over in Perth as well. The Marsh brothers when not performing well at the Test level have frustratingly come home to don the Orange and then perform extremely well. Most seasons, there has always been a batsmen or two that they can rely on to belt 300+ runs: M. Marsh, Gibbs, S. Marsh, Katich and Klinger (twice). For the Scorchers, one or two strong performers with the bat have generally been all that’s required. Unfortunately this no longer cuts the mustard. Players scoring big has become more common in the previous two seasons. In the first five seasons of BBL, between one and four batsmen would emerge scoring 300+ season-end run tallies. Two years ago that number jumped to six and last year it jumped again to eight. Only one of those fourteen players was from the Scorchers: Klinger — two years ago. When the Australian team can barely justify keeping one or both the Marsh brothers, the Scorchers desperately need them back! Currently, Ash Turner is the only Scorchers player in the top 15 run scorers, thanks to his 60* in a narrow losing effort against the Sydney Thunder. 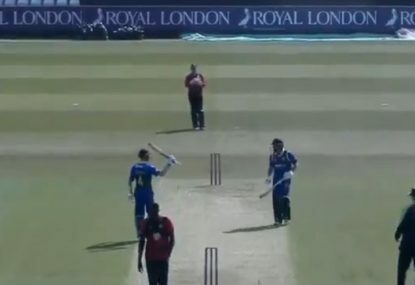 Hilton Cartwright has also chipped in with a fifty in a chase that couldn’t make the distance. Even when they are batting well, these isolated performances haven’t been match winners. Turner and Cartwright, who have compiled the most runs for the Scorchers this season and in the last, need to start batting up the order. They are simply running out of time batting in the middle/lower order if they are going to have a chance to make gigantic scores. In the age of D’Arcy Short, Chris Lynn, Alex Carey and this season’s standout — Jos Buttler, most teams have a player capable of new heights of destruction. 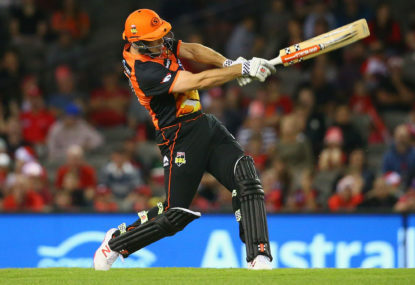 The Perth Scorchers are in desperate need of someone to do the job that the Marsh brothers, Katich and a younger Klinger have done in the past. The longer season may be forgiving enough to claw their way back from an uncharacteristic place in the bottom two on the ladder. One can only see this happening if they find a bit of firepower or give time to the players actually making runs.